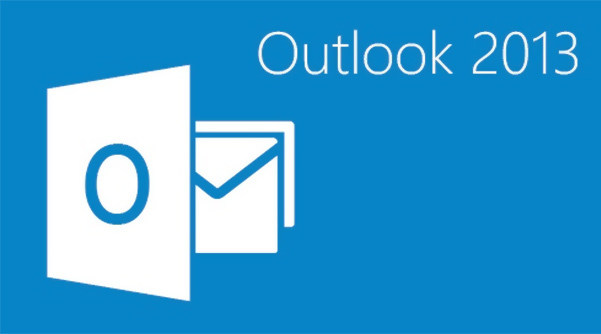 Ever set up a new IMAP account on Outlook and suddenly find that no matter how you set it up, with all the configurations right, you can't seem to fetch your Inbox. Well, if you are getting your Sent or Outbox, then you are right onto this problem. But to keep this short, all you need to do is to disable a feature call show only subscribed folders. Open the Folder tab. 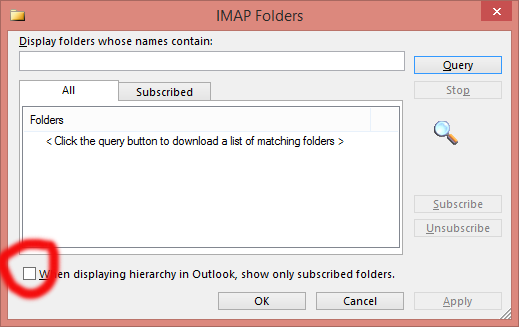 Look for "IMAP Folders". Click it. You should see the dialog below. Uncheck it! Well, I wondered if Microsoft asked anyone's opinion when implementing this, but this has cause me to loose some hair and a few hours of sleep. I hope I have some some of yours.